Government guidance on commons and greens, most notably on applying to update the registers of common land and town or village greens held by certain local authorities (i.e. 'commons registration authorities'), has undergone the transformation to 'smarter guidance', part of a Government-wide project to reduce the volume of all public sector guidance, and to improve its quality, consistency and accessibility. The key to the new guidance is the launch page, Common land: guidance for commons registration authorities and applicants, which contains links to specific pages of guidance in two groups, targeted at commons registration authorities, and at the public who may have an interest in the registers. Much has changed. Indeed, the switch to 'smarter guidance' is not the first occasion on which the guidance has been pared down: version 2.0 replaced version 1.43 in December 2014, and at that time excluded guidance about commons councils, the protection of common land, local authority schemes of regulation and management, 'intervention' (enforcement), vehicular access over common land and greens, deregistration and exchange, and public access rights over common land, all contained in chapter 3, which is as close as Defra has got to fulfilling the Parliamentary commitment to publishing a circular on common land (Lords Hansard, 30 Nov 2005, Col.281) — albeit the guidance has never formally applied outside the commons registration authority areas pioneering Part 1 of the Commons Act 2006. The new guidance is concise, even terse, and lacks an explanation or context: the commons registration officer is informed, for example, that two authorities may enter into a straddling agreement as regards land straddling the authorities' common boundary (so that "only 1 [sic] of you’ll [sic] be responsible for the registration of that land"), and even that agreements made before 1 April 1974 expired on that date — but not the legislative authority for such agreements, nor the legislative cause of the demise of pre-1974 agreements. This isolation from the legal context is found throughout the guidance (indeed, it's common to smarter guidance generally) and may make it less daunting and therefore helpful to the casual reader, but it may also impair its utility to a local government officer who wishes to understand, and justify, why the guidance is framed as it is. Nor does the new guidance offer the local government officer any interpretation or explanation of the legislation beyond the bare recital of its requirements. So, for example, the guidance to authorities on dealing with applications to register a statutory disposition (such as a compulsory purchase order affecting common land) states that: "Statutory dispositions normally come into effect after the date on which they’re confirmed. You’ll need to check its [sic] terms to find the date on which it has or will come into effect, as you can only register land or rights after that date." But there is no illustration of what this might mean in a particular case, or what to look for in the statutory disposition, as there was previously, to ensure that the instrument is effective and capable of being registered. Exceptionally, the guidance to authorities on registering a new town or village green does include some references to case law, albeit the citation of cases is inconsistent and truncated, and there are no hyperlinks to Bailii.org or elsewhere. • under land or rights that belong to the Church of England, authorities are advised on how to deal with "land or rights that belong to the church", but the advice is relevant only to land or rights that belong to a benefice (and which are held by the incumbent where one has been appointed), and not where the land or rights belong to the Church otherwise. I submitted these observations to 'Is there anything wrong with this page?' today, so we'll see what happens. Perhaps the most remarkable diminution in guidance is that specifically directed at applicants to register a town or village green, which is now contained in Commons registers: apply to record new events, under Apply to register a town or village green. This now comprises 43 lines: indeed, one will find more (82 lines) in the preceding section on Apply to register a statutory disposition (there is more about the mechanics of making an application in the separate guidance on Commons registers: how to apply to make changes). The potential applicant would be well advised (but is not advised) to refer to the somewhat more detailed guidance provided to the commons registration authority — or better still, to refer to the guidance published by the Open Spaces Society, Getting Greens Registered. Section 7.11 of version 1.3 of the guidance to applicants in the pioneer areas (not found online) published in 2013 provided over six pages on registering town or village greens, while version 1.3 of the guidance (available via the National Archives webarchive) to applicants elsewhere in England specifically on registering greens extended to 20 pages. For those who yearned for further detail, section 8.10 of version 1.43 of the guidance to commons registration authorities (available via the National Archives webarchive) published in 2011 filled 26 pages, much of it drafted by a well known barrister specialising in town or village greens cases. Yet while it remains possible to access some earlier versions of the guidance, it is not kept up-to-date, and the lay reader will have no likelihood of locating it, let alone any means of knowing whether any particular aspect of it remains valid. The majority must therefore rely on what appears on gov.uk. It is not hard to understand why the new guidance lacks much of the content of the old — content requires revision, and revision requires resources. The law on registering town or village greens in particular continues to evolve through challenges in the courts, and what was written several years ago — even by a barrister — may be misleading today. Still, it is a pity that no signposts have been included to direct the lay reader to more fertile sources of guidance. DCLG is half way through a consultation on the proposed Local Authorities (Functions and Responsibilities) (England) Regulations 2015. The regulations, if made, would not be novel, but would consolidate the Local Authorities (Functions and Responsibilities) (England) Regulations 2000 and no fewer than 15 amending regulations. The consultation closes on 6 March and one suspects that the intention is to make the regulations before the end of March in order to clock up the revocation of a further 16 statutory instruments before the election. The regulations are a consequence of the legitimisation of executive forms of local government introduced by Part II of the Local Government Act 2000, meaning that, where authorities have an executive in place, many decisions must be made by an executive mayor or a small cabinet of executive councillors. The effect of s.13 of the 2000 Act is that decision making is vested in the executive unless regulations provide otherwise. Broadly speaking, the regulations tend to provide that regulatory functions are not capable of being discharged by the executive: e.g. licensing and planning development control. However, any function may nevertheless be delegated to officers, either under s.101(1)(a) of the Local Government Act 1972, or under s.14, 15 or 16 of the 2000 Act. 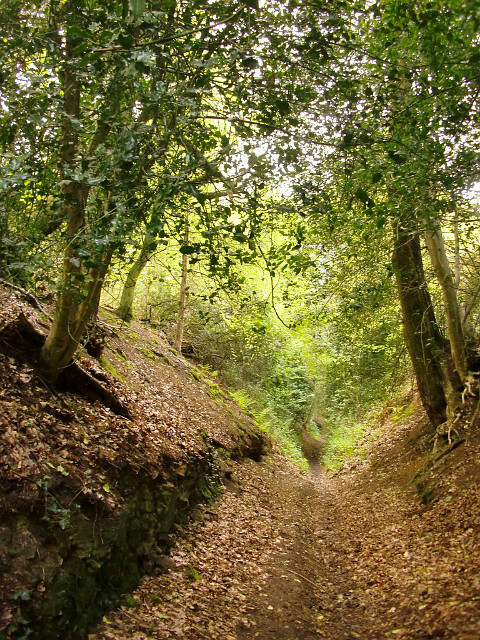 As an example, the existing regulations (para.3 of part I of Sch.1 to the 2000 Regulations) require that the 'power to divert footpaths and bridleways' under s.119 HA 1980 is one which cannot be exercised by an executive member, but must be done by committee or by council (or by an officer, if an appropriate delegation is in place). This is why highway authorities have rights of way, regulatory, or similar committees to discharge these functions, even if they operate executive arrangements, and of course, why every planning authority still has a planning committee. The consultation is of considerable relevance to highway authorities, because of the continuing requirement that public path orders are not made by the authority though executive arrangements. Note, however, that the relevant entries in Part I of Sch.1 to the draft regulations refer to exercising the power to 'make' an order, which suggests that confirmation of an unopposed order could be done by the executive. 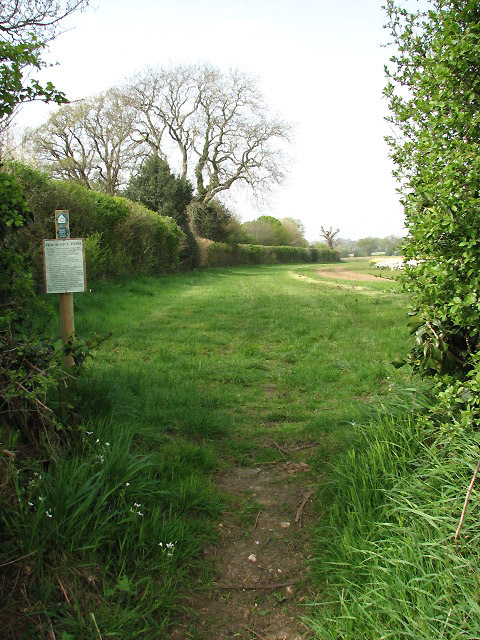 There is also a rather bizarre removal of reference in the regulations to determination of applications for public path orders under s.118ZA of the Highways Act 1980, because that provision is not yet in force, yet with Royal Assent to the Deregulation Bill imminent, it may well be commenced in the next few months (the consultation does not even mention the parallel s.119ZA). From which one might guess that there has been no thorough prior consultation within Government, and it's all a desperate rush to complete the job before Parliament is dissolved and no new regulations may be laid before Parliament. This new blog will accompany the Twitter handle @PannageMan, and will contain occasional posts expanding on tweets mainly about common land: news, court cases, notable applications and decisions, perhaps even the odd visit. It may stray into town and village green and rights of way territory too. Any views expressed here or on Twitter will be entirely my own.